If you enjoy the beauty of spring blooming bulbs, it takes a bit of early planning to get that look in your garden. This list of 15 bulbs to plant in fall will make sure that next year gets started with a burst of color with very little effort on your part. 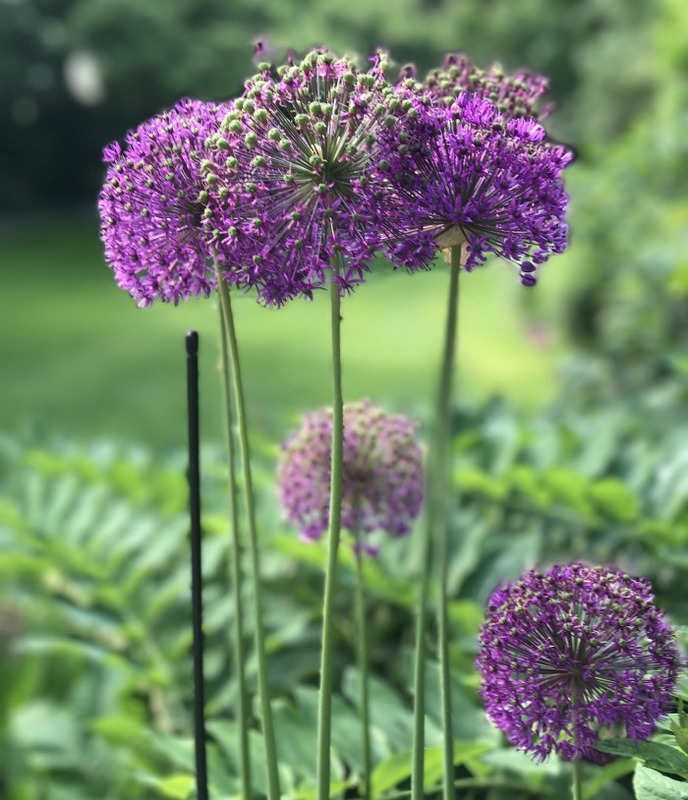 I’ve also included lots of tips for you that will help during fall planting time, from when to plant and how deep the bulbs go, to which ones will grow for your planting zone. Fall is an interesting time in the garden. Most flowers have stopped blooming and perennials are getting ready to go dormant. There are a few perennials and annuals that bloom right now, but not as many as summer time. Of course, there are lots of fall gardening tasks that can be done, but this often seems mainly like clean up and work, to me. Planting spring blooming bulbs now is a task that I really love. I plant them, forget about them for a few months and then get a lovely and colorful reminder of the work that I did a few months ago getting these bulbs in the ground before it freezes. Fall planting is fun because the temperatures are cooler and this makes working outdoors in the garden a pleasure, rather than a chore. The pay off comes in a few months when that spring flower bulb pops its head through the soil when you have long forgotten about it. Before you dig out that shovel, you will need to know your gardening zone. Flower bulbs, like other perennials, have ideal growing conditions and climate needs. Plant hardiness is one of the key factor in deciding what to plant. As pretty as caladiums are in Florida, if you try to plant them in Maine, you’ll just be disappointed next year. Lucky for us, most plant packages will display the cold hardiness zones right on the packages. Many plants and some bulbs can be invasive, so it is important to plant those that are right for your growing conditions and temperatures. Spring blooming bulbs should be planted as soon as the ground is cool. This means that the evening temps will be about 40-50 degrees F.
If you have a warm spell and can’t plant at that time, you can store the bulbs for a month or so, as long as you keep them in a cool and dry location. 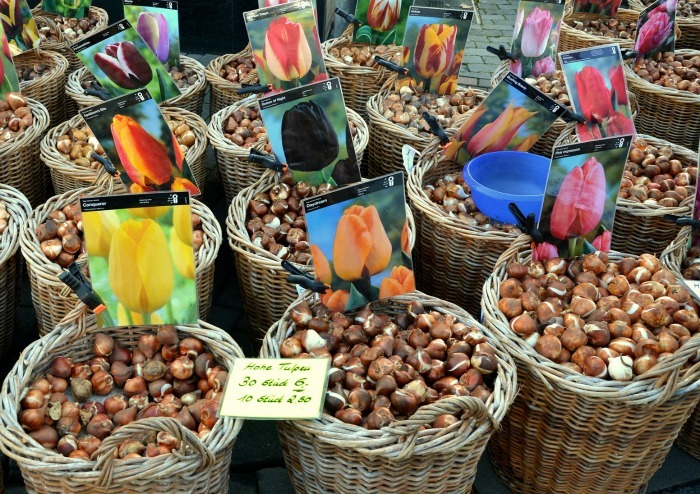 If you live in a warm climate zone (zone 8-11) some bulbs may need to be pre-chilled in order for them to bloom. To do this, place the bulbs (in their bags) in the fridge for 8-10 weeks. Mixed Collections or Individual Bulbs? It’s possible to buy mixed collections of a variety of bulbs and well as packages of individual bulbs of one type. Which is better? 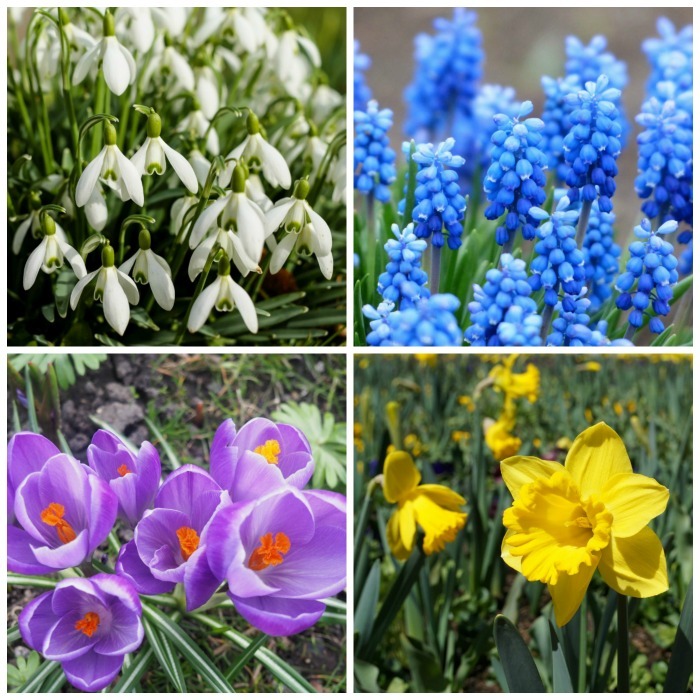 The mixed collections may seem like a great deal since you will have a variety of many different bulbs. However, many of these collections have quite small bulbs. Although it is not a hard rule, larger bulbs normally produce larger flowers since it has more stored energy. So the choice is yours. Are you looking for larger flowers, or a lot of different flowers? Be sure to keep any labels that come with your purchase of bulbs. If you just place them all in one container to save space, you won’t be able to tell them apart later. 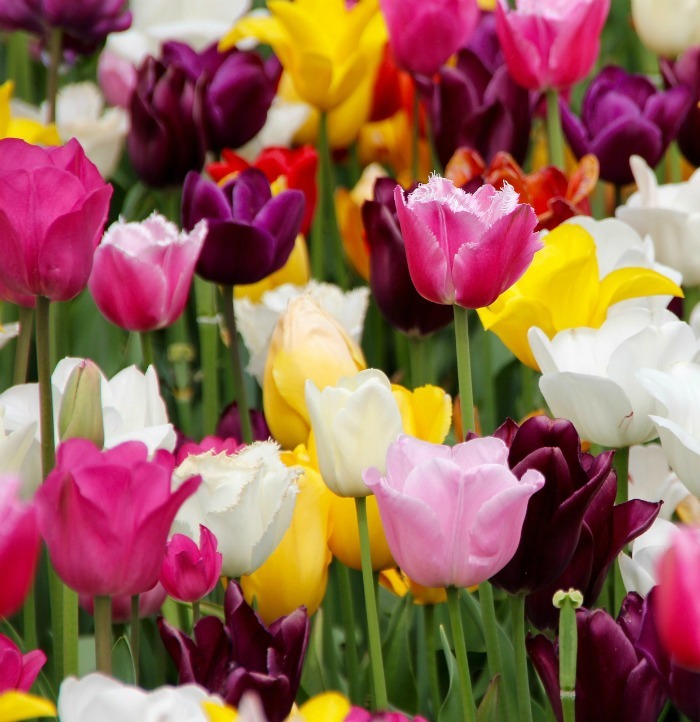 You might be able to tell tulip bulbs from daffodil bulbs, but will you know which of these tulips are purple and which are yellow? The labels and markers will have that info so be sure to save it. When you shop for bulbs you may notice words other than bulb on the package. 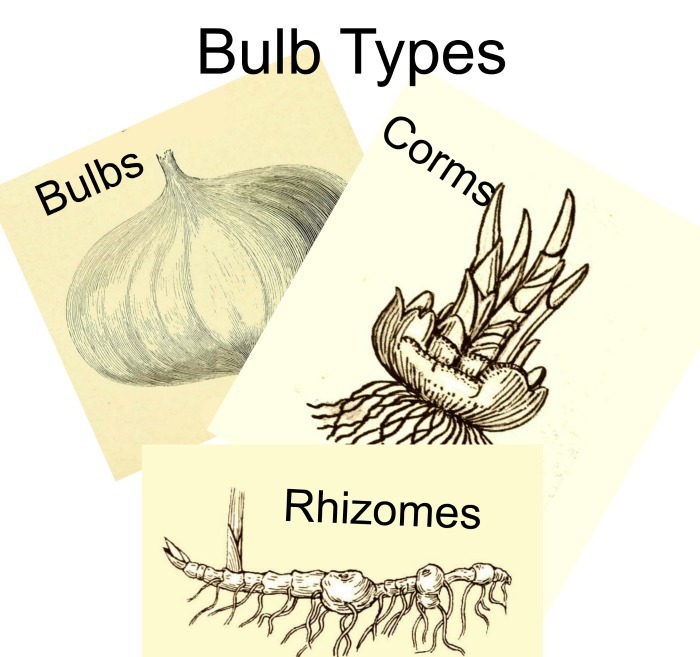 This is because there are actually 5 basic types of bulbs that you might find. For more details on the differences between these, be sure to check out this post. Planting bulbs in the fall is really just about getting them into the ground so that they have a period of cold before spring, but there are a few things to keep in mind to get the most out of your bulbs. 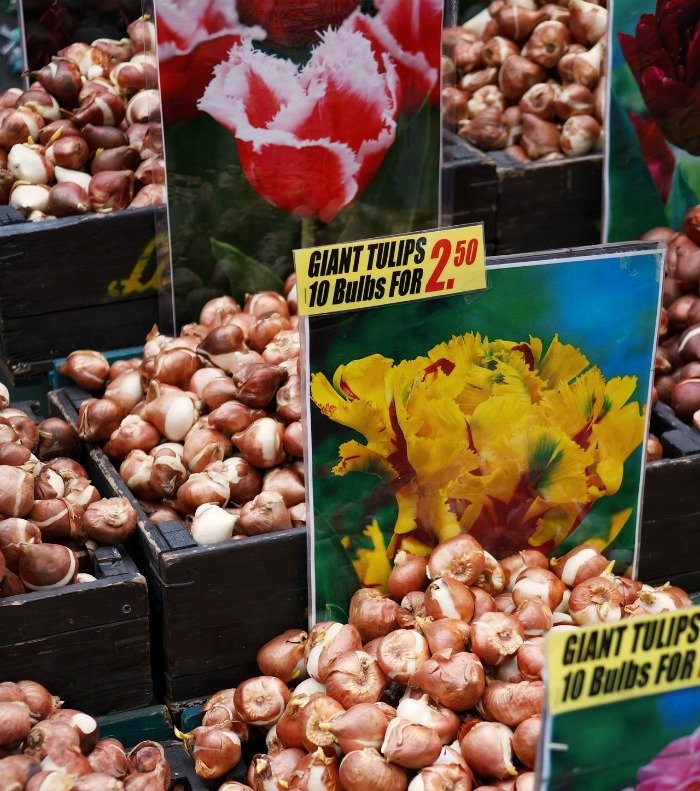 When is the best time to plant spring blooming bulbs? 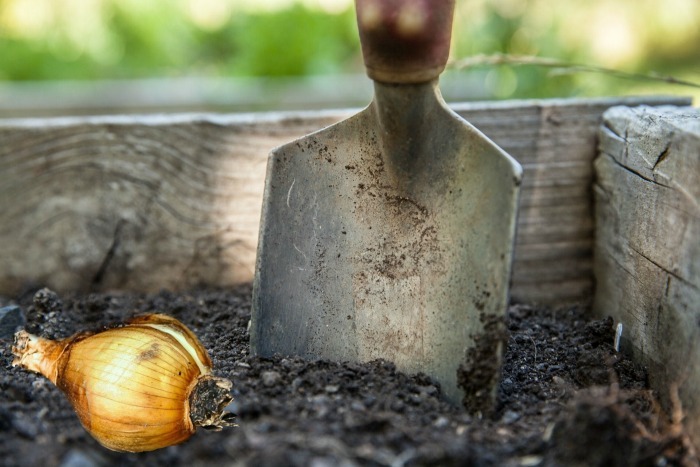 Generally, the best time to plant bulbs in the fall is when the soil is around 60 degrees F (18 degrees C) but definitely before the first frost. Most fall planted bulbs like 16-18 weeks of cold temperatures to bloom well in the spring the following year. Once again, check your bulb packages, they will often tell you when to get the bulbs into the ground. A good rule of thumb for these bulbs to plant in fall is to find out when your expected first frost date normally arrives and get the bulbs in about two weeks before this date. Any garden bed that drains well is a potential spot for spring blooming bulbs. Note that bulbs rot if the ground around them is too wet, so avoid any areas of your garden where water might collect. Low lying garden beds at the bottom of a hilly patch would not be a good idea. Also, be sure that the garden bed will get plenty of sunlight. Bulbs like lots of sunlight. But what looks sunny in fall (when the leaves are off the tree) may be shady in spring time, so keep that in mind. These tips will help you when it’s time to get the bulbs into the ground. Loosen the soil in your planting area down to at least 8 inches. 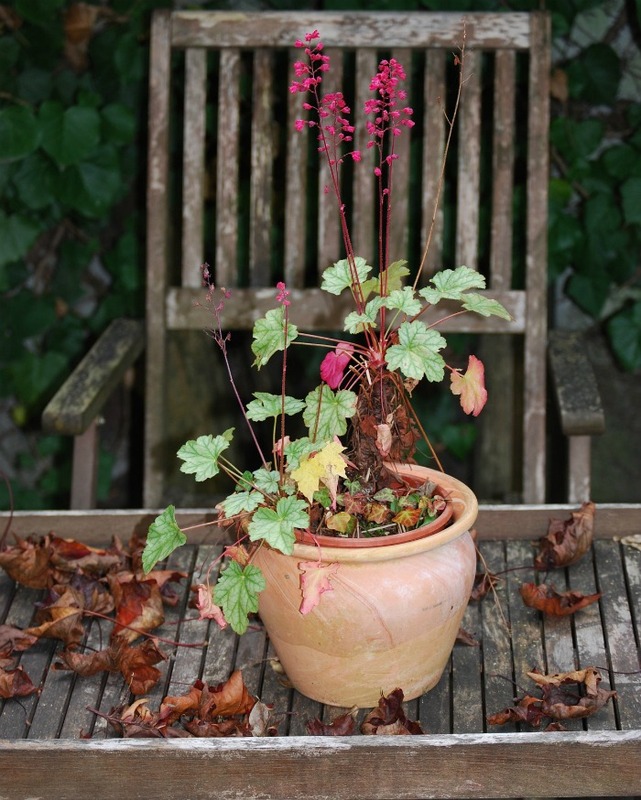 Remove any twigs, sticks and rocks so that the soil will allow bulbs to sprout and grow without any obstructions. Soil test kits will tell you whether the soil in your garden is lacking any nutrients that are necessary. If your soil is lacking. now is the time to mix in some organic matter such as compost, or a slow release fertilizer. How deep should I plant the bulbs? The answer to this question depends on the bulb. Your packaging should give you a recommendation for the depth to place the bulbs. However, a good rule of thumb is to plant about twice the size of your bulb. This means that big bulbs would be planted about 8 inches deep or more and small ones 4 inches or less. This is not a hard and fast rule but should give you a guide. If you can’t determine which end is which, plant the bulb on it’s side. In most cases, as it starts to grow, the bulbs will figure it out and grow out and upward. 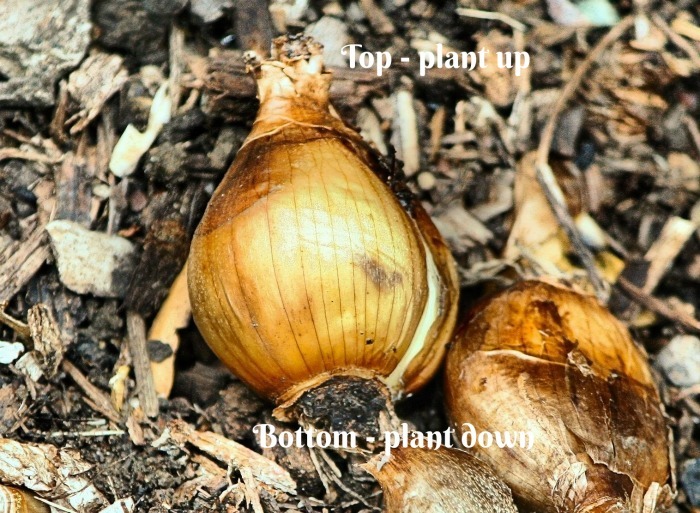 Once the bulbs are positioned, back fill the hole with soil and compress it lightly. Water the soil well. For most bulbs, there is no reason to keep watering during the winter, unless you are in an area with very low rainfall. Since bulbs have a natural structure that stores moisture and nutrients, most bulbs tend to be quite drought tolerant, compared to other flowering plants. Should I plant in the ground or in containers? This is a personal choice. Planters look lovely when they are full of flowering bulbs, but if you do this, you’ll have to be more concerned about watering, since pots can dry out more quickly than the actual ground in flower beds does. However, if you have squirrels and other critters that like to dig up and eat bulbs, pots may be a better choice. A good slow release fertilizer spread on top of the soil, or some more organic matter worked into the soil in the spring is all that is needed for extra fertilizing. Once the flowers have finished blooming, don’t cut off the foliage. 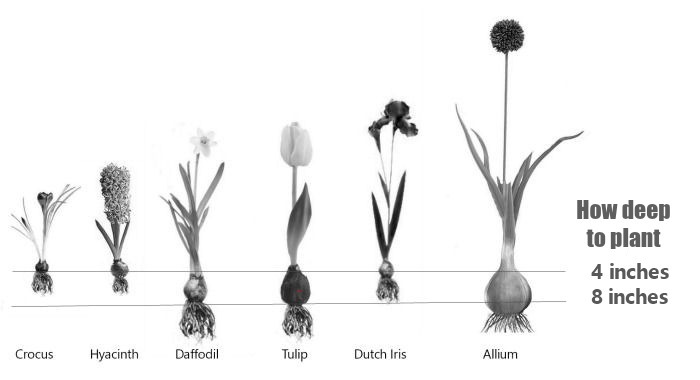 The bulbs will need it to gather nutrients from the soil so that they can be stored for the following seasons. When the foliage is completely yellow, you can clean up up and cut it back to ground level. The daffodils in the front of this garden bed may look untidy, but I just put up with it for a month of so, knowing that leaving the foliage will help next year’s plants. The main thing these spring bloomers have in common is their planting time – autumn! Most of these bulbs flower in spring but a few are early summer blooming plants. Why not try one of two for your garden this year? You can see from the description how hardy the plant is and when it will likely bloom for you. Plant your allium bulbs where they will receive full sun to get stronger stems and brighter colors. 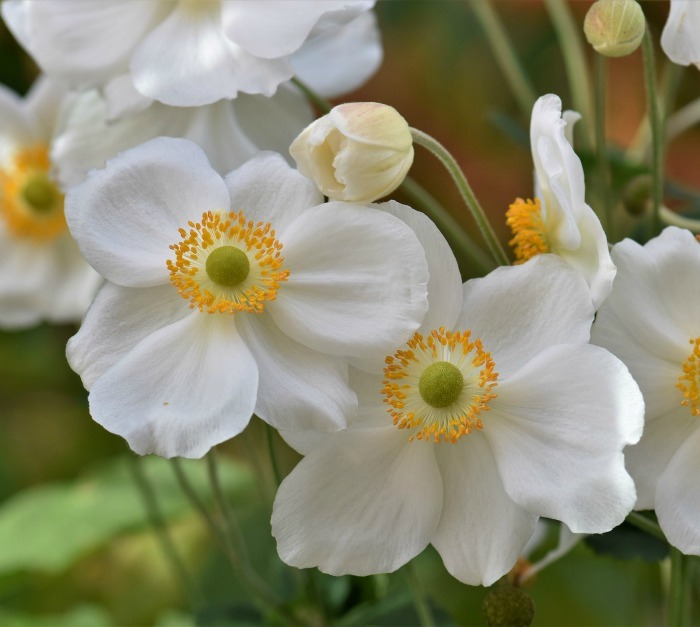 Their tall round blooms are a stunner in the garden and varieties bloom in both spring and summer. Allium will grow in zones 4-9 but do better in the warmer zones. They are a true bulb. Allium starts flowering in early summer and has a long bloom time. Anemones are a fairly early bloomer. They start flowering about 3 months after planting and will continue for 8-10 weeks. This early spring bloomer grows from a corm and is hardy in zones 5-9. The hardiness varies depending on the variety you have. Planting times depend on your zone. The plant needs up to 16 weeks of chilled ground before it will bloom. You will have better luck getting them to bloom in the cooler zones. 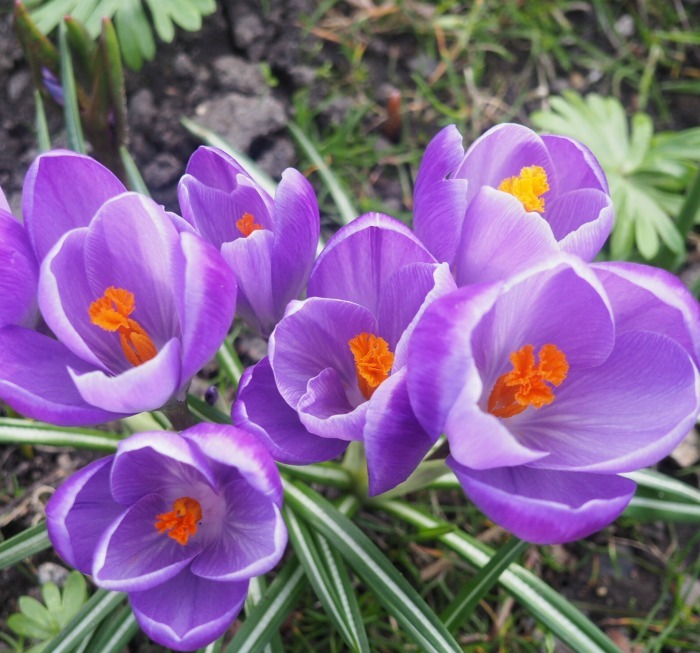 In mild climates, crocus will flower in January or February. Hardy cyclamen tubers are a plant that enjoys the colder climates and freezing winters more than most bulbs. This cool loving plant doesn’t like it when the summer is hot and dry. The plant is hardy to zone 5 and grows from tubers. The floral cyclamen that we see around the holidays can only be grown as an annual in colder zones, since it is only cold hardy in zones 9 and 10. Hardy cyclamen flowers in late fall and continues flowering until late spring. Daffodils are probably the most common of the bulbs to plant in fall. 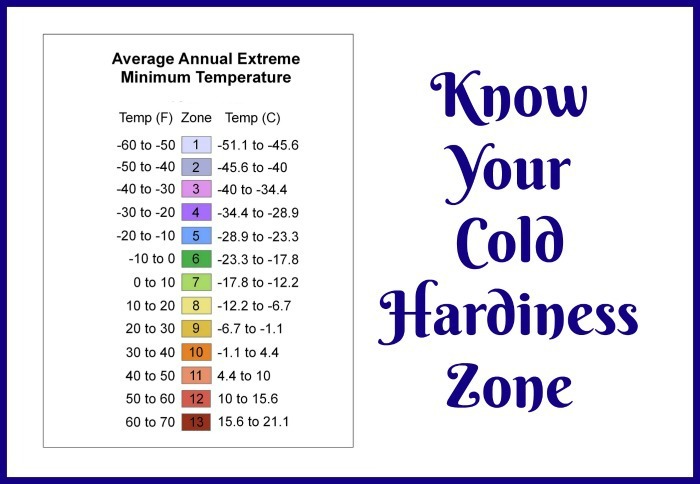 The cold hardiness varies but most are hardy in zones 3-8. Daffodils are grown from a bulb. I love the sunny faces that just seem to say “welcome spring.” They are one of the first spring blooming bulbs and come in both white and yellow varieties with different colored throats. 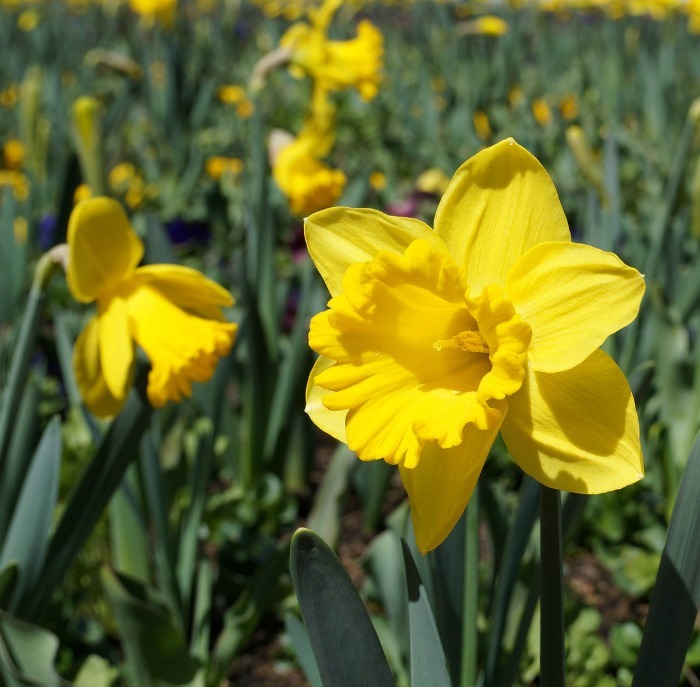 Daffodils are one of the early bloomers, showing their faces in late winter or early spring. Unlike other types of irises that grow from rhizomes, a Dutch iris grows from a tear shaped bulb. It is cold hardy in zones 5-9. Another difference in the Dutch Iris is that it doesn’t need to be divided the way normal irises do. 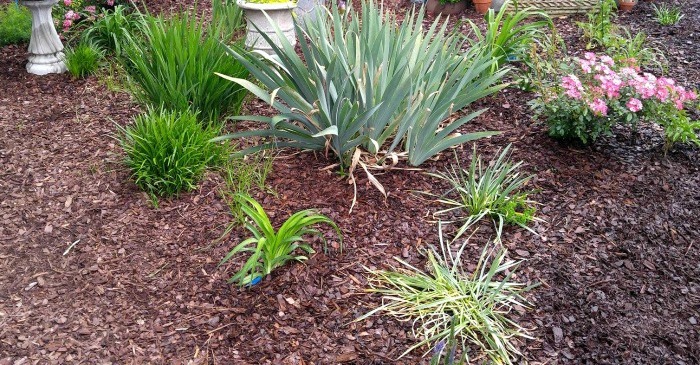 Dutch Irises naturalize better in the warmer zones and take up less garden space that other irises. They bloom in late spring. 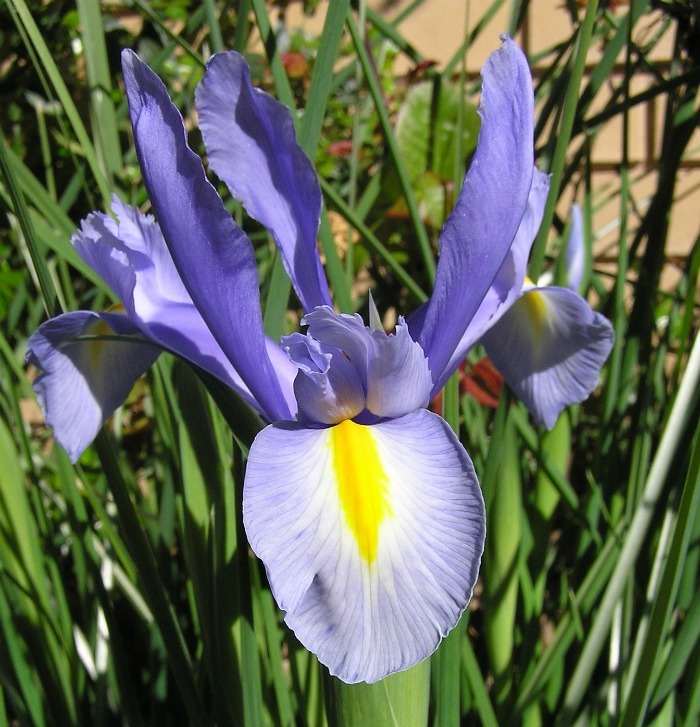 The flowers of Dutch iris appear from late spring to early summer. Some varieties will also re-bloom. The brightly colored citrus scented flowers of freesia are a treasure to behold but are only cold hardy in very warm zones 9 and 10. If you are lucky to live in these areas, you can plant freesia corms in the fall. In cooler areas, wait until spring to enjoy them that year. They won’t overwinter in zones cooler than 9, however. 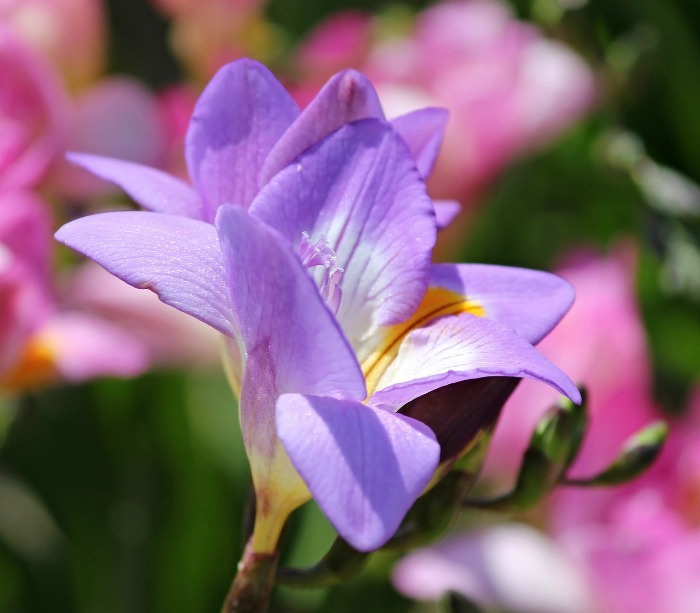 Freesias will flower about 12 weeks after planting and have a long bloom time. 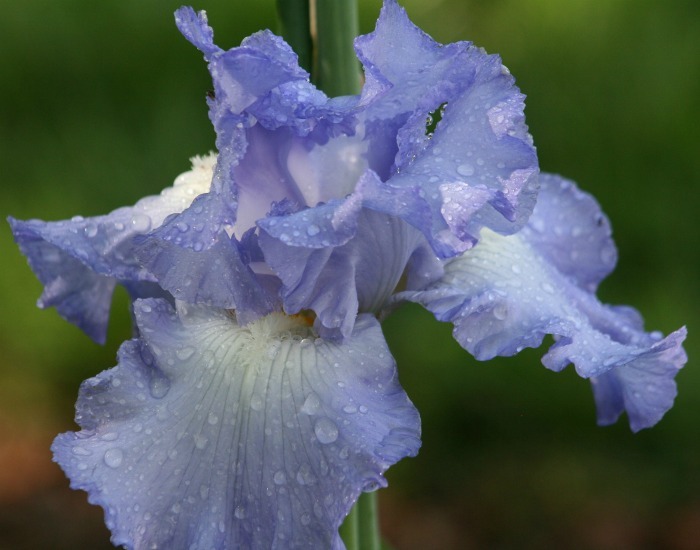 Most irises, other than the Dutch Iris, are hardy in zones 3-10. They are grown from rhizomes planted in the fall and need to be divided regularly. They come in many colors and varieties and will bloom in late spring and sometimes re-bloom again later in the summer, depending on the variety. 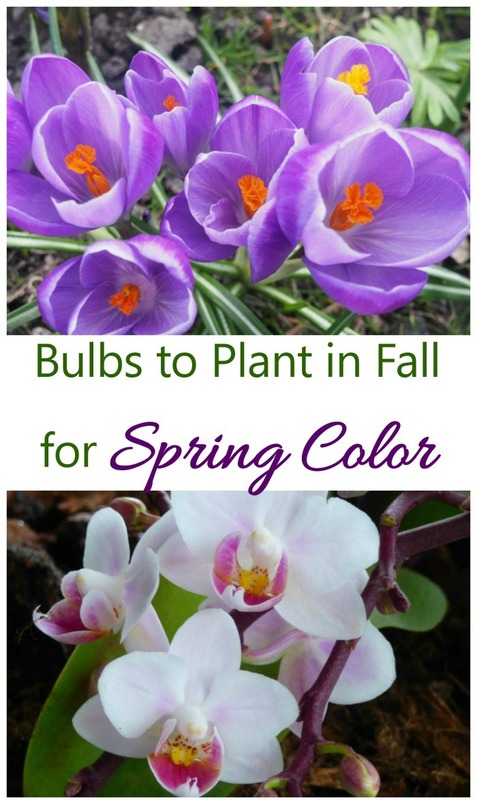 Still looking for more bulbs to plant in fall? Here are a few more that like to be planted in before the frost hits. Gladioli were my dad’s favorite flower. The blooms are amazing. They grow on very long stems which may need staking. 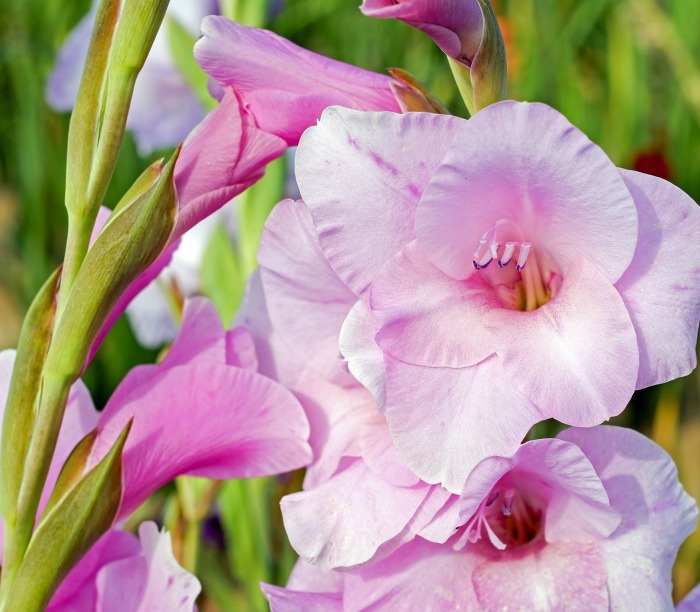 Gladiolus grows from a corm and is totally hardy in zones 7-8. It will grow to zones 5 if protected by mulch in the winter months. Gladiolus flowers in summer. While they can be planted now in the warmer zones, many gardeners plant gladiolus in early spring after the danger of frost has passed. For a continual harvest of flowers, plant a few corms every two weeks until right up to early summer. This early spring bulb is hardy in zones 3-9. The small stems have buds that look like clusters of grapes. Grape hyacinths are planted 2-3 inches deep. 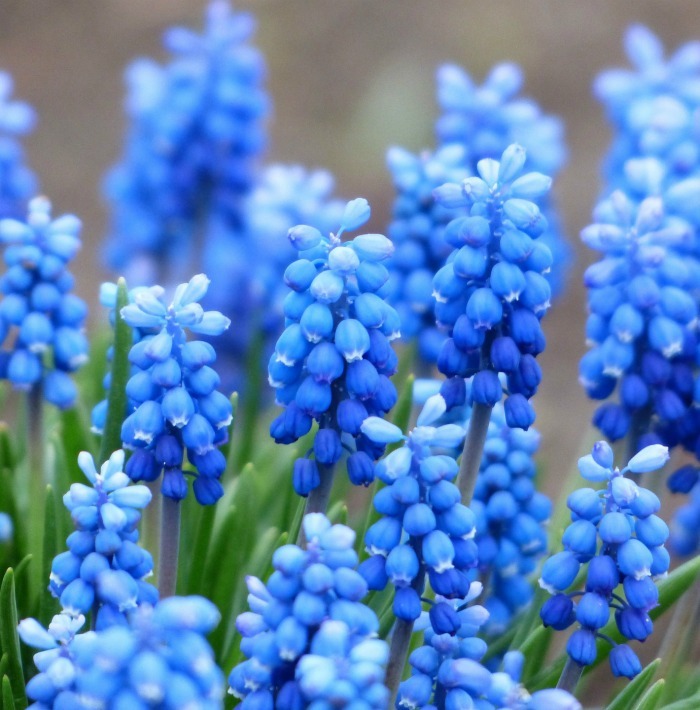 Depending on your zone, grape hyacinth will flower in late winter or early spring. Another of my favorite bulbs to plant in fall is hyacinth. This early spring bulb is a popular choice for those who like to force bulbs. The bulbs are hardy in zones 3-9 and come in shades from bright pink to soft blue. Plant the bulbs 6-8 inches deep. 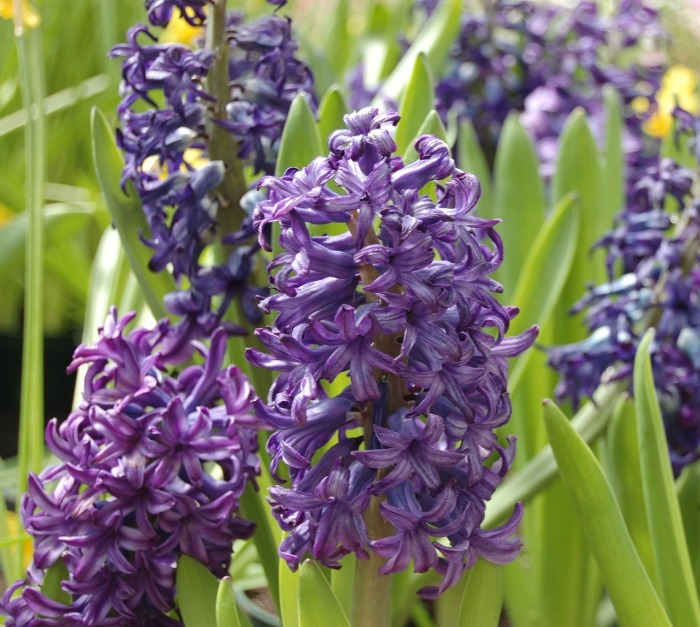 Hyacinth will flower in early to mid spring. 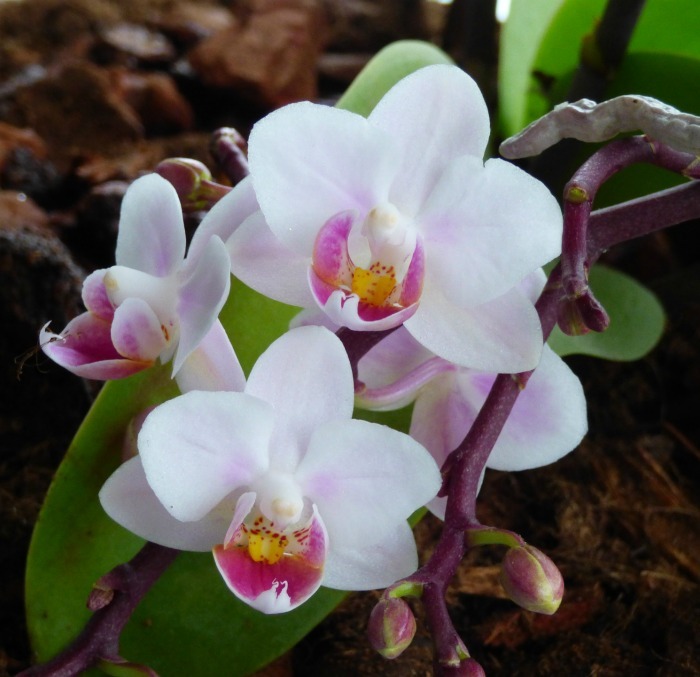 Once the flowering process starts, it takes about 3 weeks for the flowers to fully open. 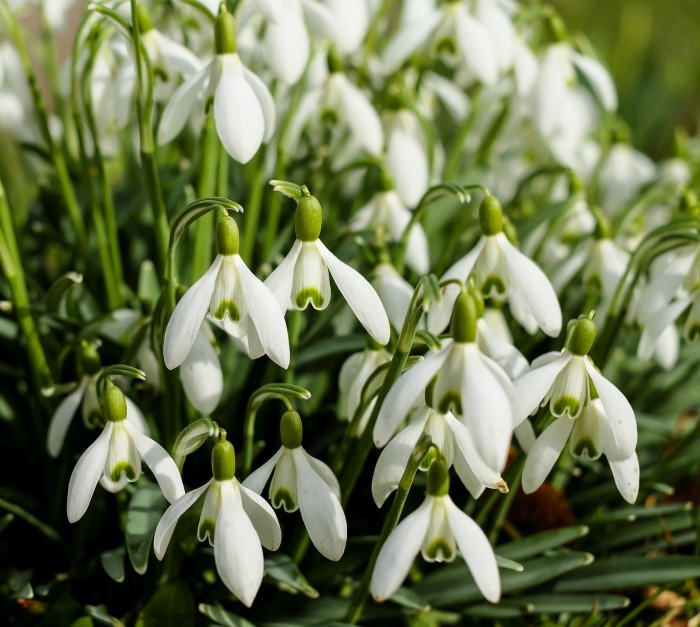 The bulbs of snowdrops are hardy to zone 3 and can take freezing temperatures to a -25 degrees F.
The flowers of the snowdrop bulb and white are drooping and appear as early as late winter. They are a sight to see poking up through the snowy ground! Snowdrops have a benefit of being quite deer resistant which is a real plus. 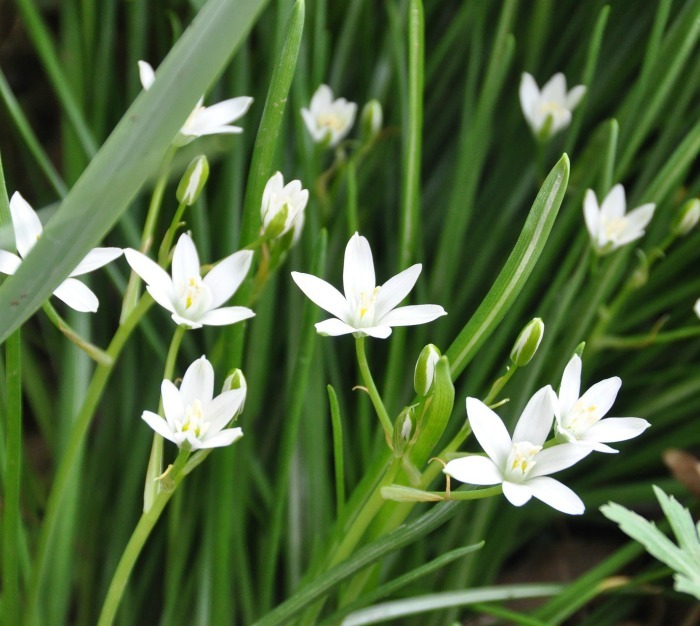 The star shaped flowers of Star of Bethlehem appear on stems that sit above their foliage. Care must be taken with this bulb, since it can easily take over a garden bed. The safest way to grow it in containers where its spreading habit can be managed. The bulbs are cold hardy in zones 7-9. Star of Bethlehem blooms in late spring to early summer. Trillium is hardy in zones 4 to 9 and grows in full sun to partial shade. The plant grows from tubers and has a pretty three petaled flower with a yellow throat. 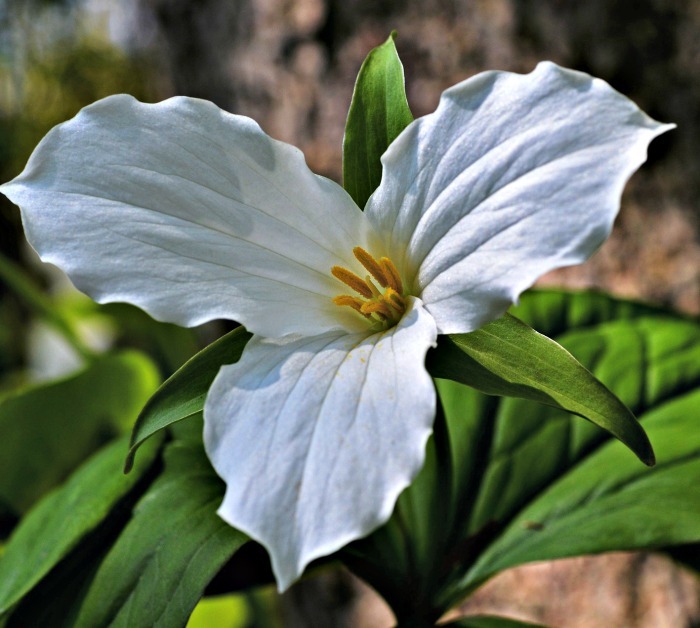 Unfortunately, trilliums have been dug up from the wild, so it is important to purchase plants that you know have been propagated from cultivated stock. Bloom time depends on the variety and your hardiness zone. Some bloom in early spring and other varieties will flower later in spring until almost summer. The final flower of my list of bulbs to plant in fall is the tulip. Even though I only get a couple of weeks of this beauty, it makes me smile every one of those days when I walk by them in the garden. Tulips are hardy in zones 3-7. The bulbs will grow in zones 8-10 but should be planted in November or December in those warmer zones, since they need soil temperatures that are lower than 60 degrees. Bloom time depends on your zone. In Holland the bloom time for tulips is end of March until Middle of May. You can also make what is known as a bulb cage. Dig out the planting bed, line it with chicken wire and then plant the bulbs on it. Wrap the area with more chicken wire on the sides and over the top of the bulbs. This makes a cage that the squirrl can’t dig though, but will allow the bulbs to grow down and up through the holes in the wire. Adding some sharp gravel around the top and sides of your bulb planting holes will also help, since the squirrels won’t like to dig through the sharp gravel. 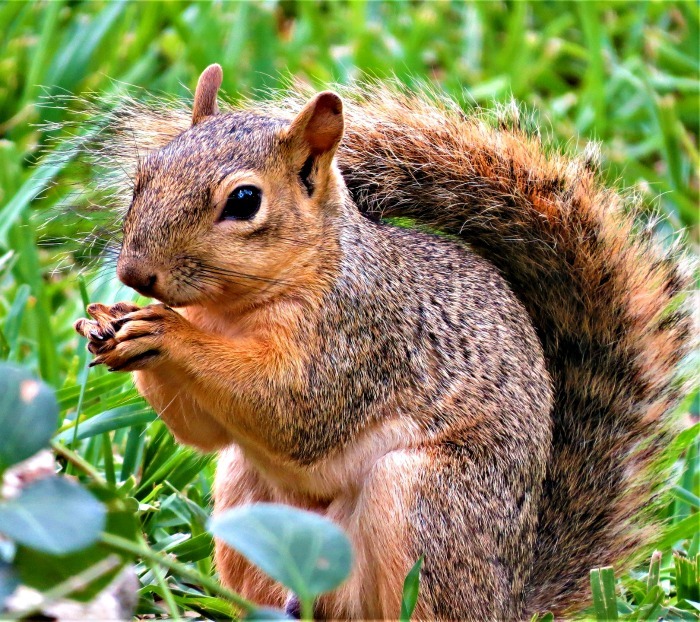 Another tip for dealing with squirrels and other rodents who like to eat your bulbs is to plant them in large containers, covered with landscape cloth until they start to bloom. You will need to water more, but you will likely keep the critters away. This list of bulbs to plant in the fall allows you to enjoy a second round of planting and also gives you a head start on spring blooms. A great benefit of planting in the fall is that the cool weather makes working in the garden so much more pleasurable. You won’t need to water as often, too! The cool weather allows the bulbs to winter over and makes sure that the growing season next year starts with a lovely blast of color. Time to get some spring blooming bulbs in the ground! Admin note: This post for bulbs to plant in fall first appeared on the blog in November of 2017. I have updated the post with extra planting information, more photos and a video for your enjoyment.